View cart “Rain Forest” has been added to your cart. Fun and easy 4 mallet piece with inspiration from Spanish Flamenco Style. 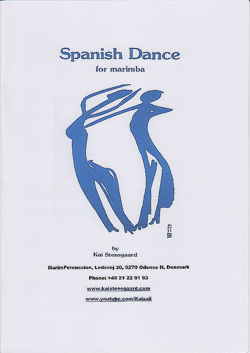 Fun and easy 4 mallet piece with inspiration from Spanish Flamenco Style. 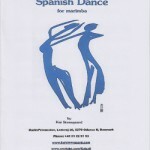 Spanish Dance for marimba was composed with influece from Spanish flamenco dancing. 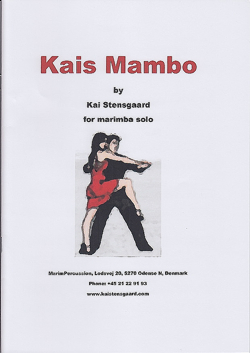 It encompases many of these dance rhythms into a very unique piece for solo marimba. 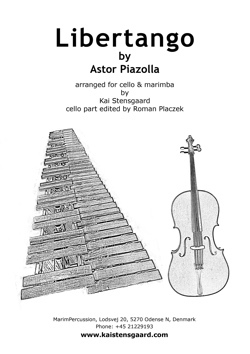 There are also a section in the piece open for improvisation, something not commonly seen in solo marimba literature. 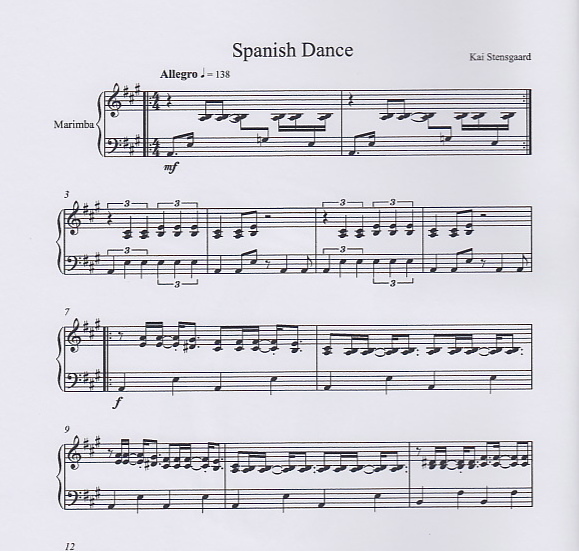 This section you have a written improvisation, but you are wellcome to do your own improvisation on Spanish Scales.